The primary aim of our research and education is to maximize the utility of various functions of animals, mainly mammals, by revealing mechanisms underlying diverse and complex life phenomena. To this end, me are attempting to elucidate life phenomena from a variety of perspectives, ranging from molecular biology to ethology. 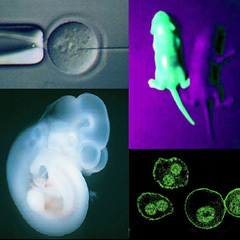 We also aim to improve productive capability of animals and to seek effective ways for preserving valuable genetic resources, by applying stateof- the-art biotechnologies that enable drawing out the potentiality of animals or animal cells. At the same time, high priority has always been placed on fostering rich human nature of our students. The graduates from our department are now occupying important positions not only in the field of animal resource sciences but also in other fields such as medical and pharmacological sciences. We welcome you who are full of ambition! Animal Radiology Studies on lipid-signaling in inflammation: tumor, allergy, tissue regeneration. Studies on pathophysiological effects of low-radiation.